Golden Screen Theme is a mysterious quadraphonic release. From what I can ascertain it got a promotional release in Japan before being picked up by Chinese label Yung Feng later on during 1972. It’s a simple enough formula – film hits of the era. The Victor CD-4 Sounds Orchestra play a blinder from the off with a nifty take on Shaft. A groovy Windmills Of Your Mind is the other high point of the first half. Les Parapluis Des Cherbourg and The Big Country make rare appearances and are most welcome here. Mission Impossible starts side two with a funky flourish. The romantic vibes kick in with superb takes on Love Story, Love Theme From The Godfather and Romeo Et Juliet. The greatest surprise is kept until the end – a swinging psychedelic version of Henry Mancini’s Baby Elephant Walk. Any additional background information would be appreciated. We pick up the Ray Davies story in 1975. 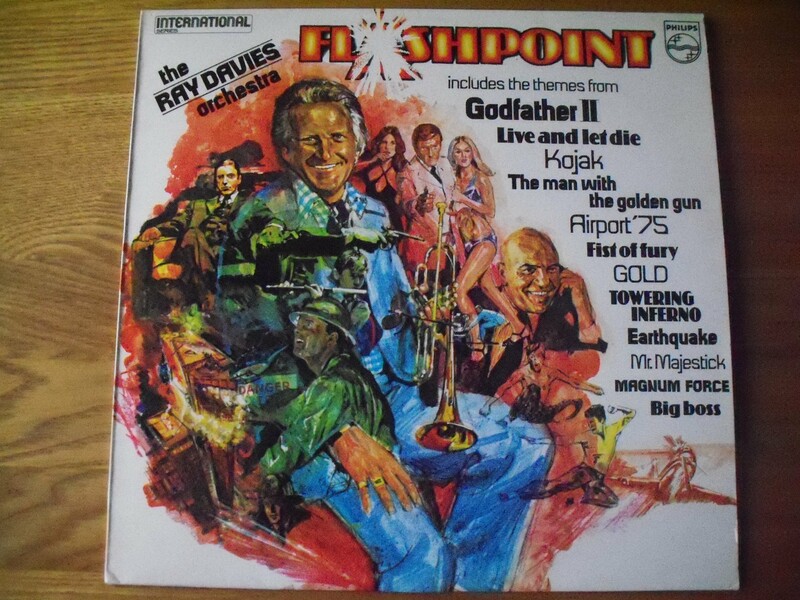 Fresh from a successful venture into film themes (Themes From The Exorcist etc – LP 215 on the original Spiral site), Ray’s next outing for Philips saw him repeat the trick (and up the ante) with the consistent and groovy Flashpoint. It features a hard and fast take of The Man With The Golden Gun, two fiery Bruce Lee themes – Big Boss and Fist Of Fury and short sharp blasts of cop action like Kojak and Magnum Force. Airport ’75 is nicely ominous too. 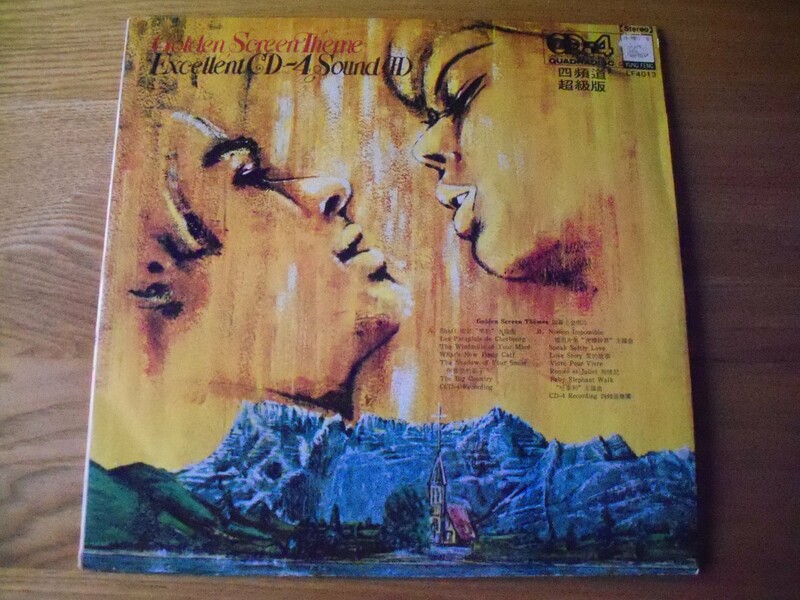 Chuck in funky romantic stuff from The Towering Inferno and The Godfather II, plus the booming sensurround of Earthquake and you’ve got yourself a classic film themes LP. Another comforting album from my childhood. 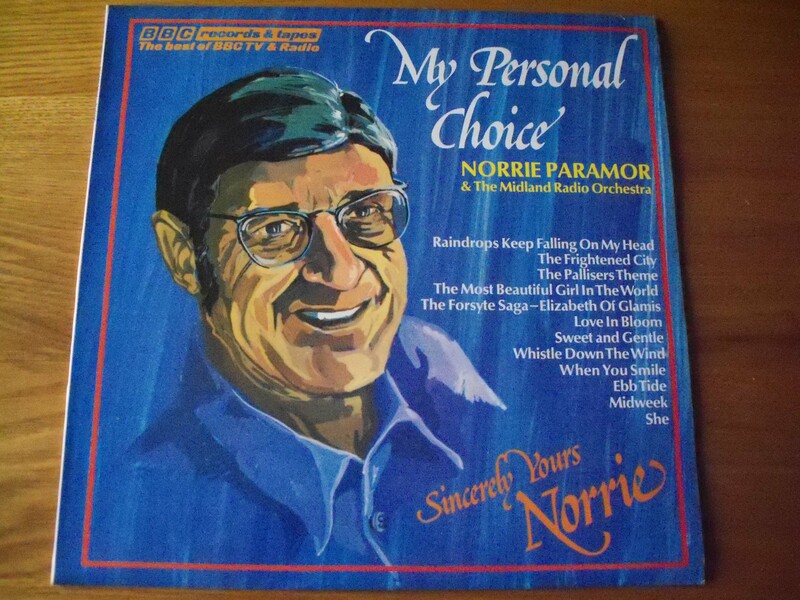 My Personal Choice is a compilation of tracks selected from four collaborative albums between Norrie and the Midland Radio Orchestra. It’s an even spread with three tracks from each LP – Norrie picked 11 while the BBC chose one. As a sampler it achieves its aim – showcasing the sound and making us want to delve deeper into the albums themselves. I’ll be featuring each of them later on this year along with 1978’s Volume 4. From BBC Top Tunes: A groovy version of John Scott’s Midweek theme stands out along with the sedate strings of Sweet And Gentle and The Forsyte Saga. The Most Beautiful Girl In The World yields a mournful take on The Pallisers, a breezy title track and the swinging lounge of When You Smile. Radio 2 Top Tunes Volume 2 is represented by the stark and lonely Ebb Tibe, a reflective Love In Bloom and a stirring She. Radio 2 Top Tunes Volume 3 provides us with the opening track on the LP, a sweet rendition of Raindrops Keep Falling On My Head. The Frightened City is magnificient – funky and atmospheric with an Eastern flourish. Finally we finish with the powerful Whistle Down The Wind.